The ban on face coverings is the latest move by Quebec politicians to impose neutrality on residents. A previous suggestion, seen above, included a ban on all conspicuous religious symbols in the public service. Photo courtesy of the Government of Quebec. But it was his optimism about the future of Canada that captured so many hearts—especially as he dedicated his final project to shining a necessary light on Canada’s shameful history with the Indigenous peoples of this land. When once asked whether he believed Canadians were racist against the country’s original inhabitants, he adamantly replied in the negative, clinging to the belief that people simply had too little “exposure.” Whether or not one can accept that premise is beside the point. He wanted to believe the very best about each and every one of us—and he put his heart and soul into teaching empathy by sharing a poignant story that he hoped would make all of us come to understand the awful injustices perpetrated against innocent children and communities for far too long. While it would be an incredible testament to his memory, it’s hard to hold on to that optimism in light of the news that broke the day after his death. Quebec’s provincial government passed a law banning anyone covering their face from giving or receiving public services. 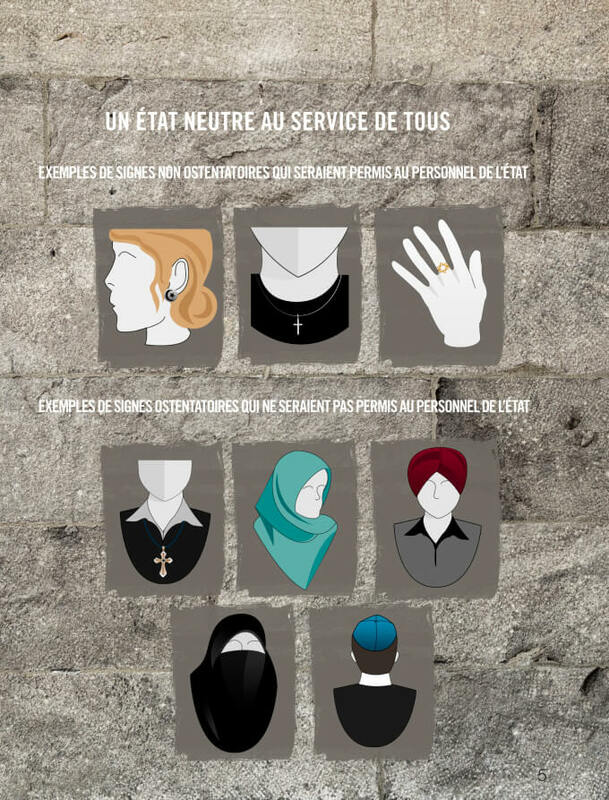 While the government claims its new legislation isn’t about targeting any one community, only the most naive and gullible would fail to see this as a clear attempt to win favour among those Quebecers who strongly dislike outward displays of religion—particularly Muslim ones. The further painful irony of the ban is that it was announced on Persons Day, a Canadian commemoration of the decision to include women in the legal definition of “persons.” Rather than continue to look for ways to remove systemic barriers that may prevent vulnerable and marginalized communities from further participating in our communities, this bill does the very opposite, forcing women to choose between their religious beliefs and access to public services. It is impossible to fathom how, in 2017, such a choice would be foisted on anyone. What’s infuriating is that the move could simply be a ploy by the Quebec Liberals to pander to populist and xenophobic tendencies of its population, while knowing full well the legislation may not hold up in court. Already constitutional lawyers and civil liberties organizations have come out strongly against the bill. Whatever the outcome, the damage has been done: Muslim women are being victimized and threatened in a proxy war they never signed up for, a battle over so-called state neutrality and religious freedom. We’ve seen this before. Who can forget former prime minister Stephen Harper’s obsession with the issue of a woman wearing a face veil while taking a citizenship oath? It was made out to be a central issue in the 2015 federal election. Journalist Davide Mastracci found that the niqab had significantly higher coverage over a specific a seven-day period than even the Trans-Pacific Partnership, an issue with much wider implications. Equally exasperating was the previous government’s claim that it was limiting a woman’s freedom of choice in the name of women’s rights—while that same government slashed funding to organizations that actually served women and had refused to launch in inquiry into the high numbers of missing and murdered Indigenous women. With this latest ban, visibly Muslim women are again more vulnerable to harassment and attack, as we saw during the last election, during which human rights organizations and police services noted a spike. Statistics Canada would later report a 60 percent increase in hate crimes targeting Muslim communities that year. The horrific attack on a Quebec mosque in January should have put a stop to all of this. The shootings took the lives of six men and left several more seriously injured. There was a real opportunity for the province to end the anti-Muslim narratives that permeate its airwaves, television channels, newspapers, and social media platforms. It was chance for the political class to finally rein in the xenophobic machinations that emerge from time to time. And certainly, that painful event did soften attitudes towards Muslims for the first time in that province, according to an Angus Reid poll following the murders. But alas, the governing party has now demonstrated it cares more about winning elections than about the well-being and human rights of its own citizens. With that same party also reneging on holding a meaningful commission on systemic racism, there isn’t much hope left that it’s truly committed to equally serving all its residents. It’s like watching history repeat itself, dominated by the same chauvinistic and arrogant characters of yore. How do we remain optimistic that this won’t be the type of stories our future songwriters memorialize? One word: Courage. Amira Elghawaby is a human rights advocate and journalist based in Ottawa. She is the former communications director for the National Council of Canadian Muslims. Follow her on Twitter @AmiraElghawaby.